All Cressi-sub products have been designed and produced in Italy, using their own machines and tools. Cressi is a scuba diving sports company whose articles cover scuba diving, gun fishing, snorkeling and siwmming. 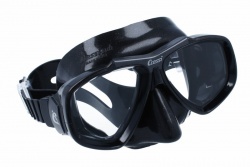 The first Cressi swimming goggles were produced in the 50's and they were called Swimming Goggles. Throughout its business history, Cressi has gone on improving and widening its own collection of products. In fact, in the 50's and 60's, many European swimming winners could use the products Cressi, the short fins and goggles. Since the company arose, swimming products have represented an important area in the range of articles Cressi.